An award winning journalist, Nadine Dereza is an experienced presenter and an accomplished interviewer. Nadine Dereza is a popular presenter for corporate events, and she chairs and facilitates conferences and live events for a diverse range of clients across many sectors globally. The events include senior management and sales conferences, product launches, award ceremonies, webinars, consumer and trade shows. As a broadcaster, Nadine has presented for CNN, Simply Money, BBC, Sky TV, SABC and Summit TV. She interviews Chief Executives and senior management teams on their company’s performance and results, and presents reports on all the major business and financial stories. As London Markets Correspondent for the Financial Times and Summit TV, she was awarded ‘Financial Journalist of the Year’. 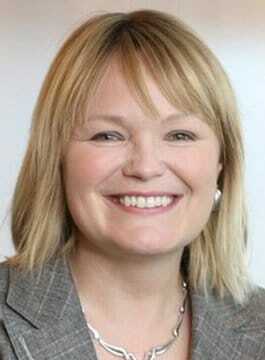 In May 2009, Nadine Dereza was appointed Non Executive Director for WorldSkills London 2011. WorldSkills is the largest vocational skills competition in the world. Nadine provides strategic leadership and direction to the WorldSkills executive team, and this includes overseeing legal, financial, risk management and operational issues and she also sits on their Audit Committee. Nadine also delivers bespoke coaching programmes, which include Presentation Skills, TV Media Training and Crisis Media Management. The programmes are designed to develop the confidence of management teams and company spokespersons – from presenting to live audiences right through to appearing on TV and radio.